A Gathering of Shadows by V.E. Schwab came out THIS WEEK! ARE YOU EXCITED?? I have just started reading it and already I am loving it. Want to know what Victoria does when she isn't writing super amazing books? 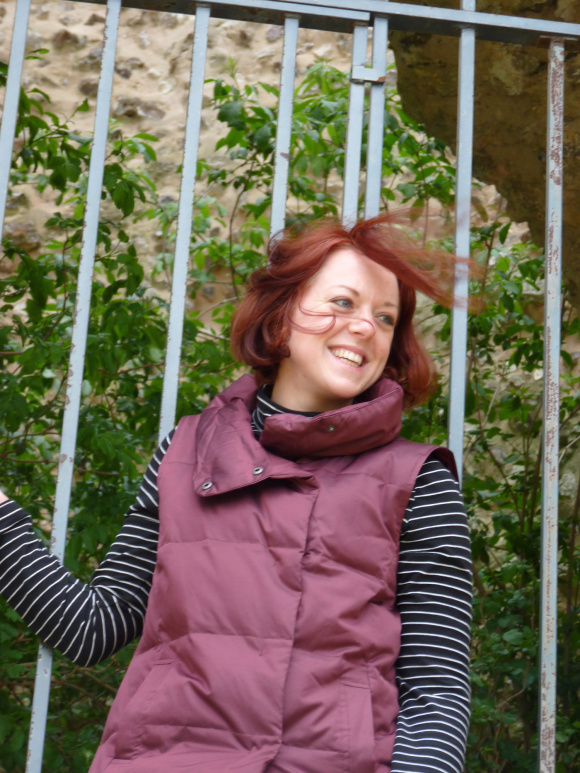 Well she has written a brilliant piece to curb your curiosity. I’m at the movies with my friends, watching the latest Marvel epic. I’m curled on the couch with a fantasy novel and a cup of tea. I’m fencing, metal clashing against metal, getting beat to hell while my heart races. I’m swimming, talking plot holes with the blue stripe on the pool floor. I’m cycling, or running, or walking the dogs, with an audiobook whispering in my head. I’m having cocktails with writer friends and talking murder, adventure, history. I’m wandering up hillsides and through forests, looking for ghosts. I’m bingeing shows on Netflix. I’m studying Latin, or Japanese, or medieval art. I’m traveling—to friends in Scotland, family in France. I’m wondering about life and death and space and cycles. But I’m also dreaming. Dreaming up monsters, and madmen, and spies, magicians, and villains, and women who live forever. When I’m not writing, I’m thinking about what to write next. 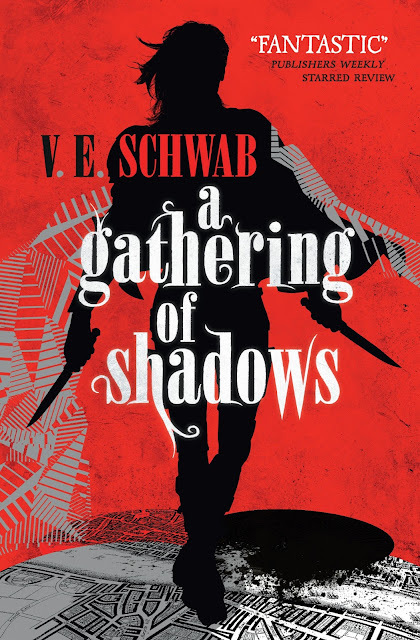 Want to know more about A Gathering of Shadows? Here's the summary. Four months have passed since the shadow stone fell into Kell's possession. Four months since his path crossed with Delilah Bard. Four months since Rhy was wounded and the Dane twins fell, and the stone was cast with Holland's dying body through the rift, and into BLACK LONDON. If you haven't started this series, then you should! Who wants to win a copy of A Gathering of Shadows? I have two copies to give away. All you have to do is comment below telling us why you think you should win and leave your email address with it. Only one entry per person. This is a UK only competition and closes on the 1st March! Check out the rest of the blog tour dates below. It's a while since I've been somewhere as fabulous as London Below in Neverwhere, so this book intrigues me. Lead me to another world ... gimme!